This variety was by far my best producer for a tough year in 2017 – coming in at over 9lbs per plant. 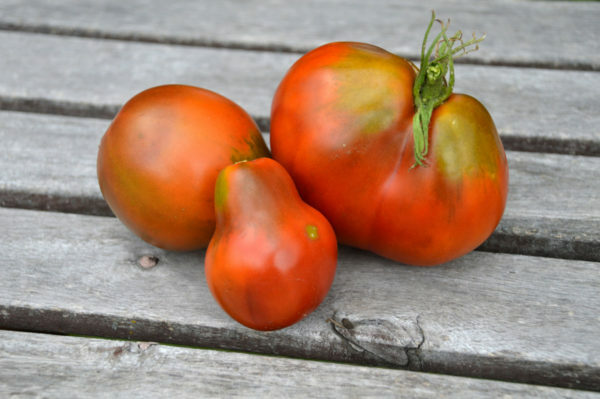 This variety is a Belgian heirloom, and was introduced to North America by Dan & Val McMurray of Wynndel, BC. 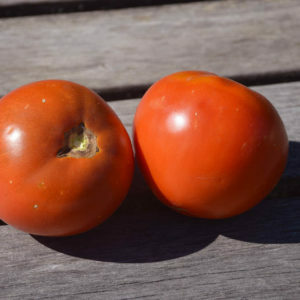 This tomato has a sweet flavour, with somewhat tart skin, and is extremely meaty. Very reliable producer and excellent production. 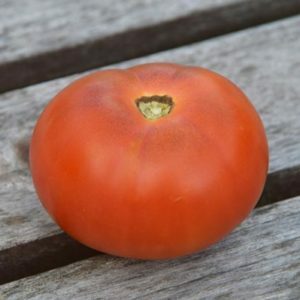 Fruit size can vary quite wildly, with some being a pear shape, and some being quite a wide/flatter pear shape. 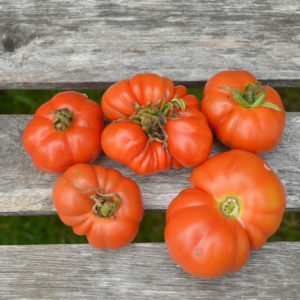 This variety has a larger core, and was excellent for both preservation and for sauces, soups, and stews. 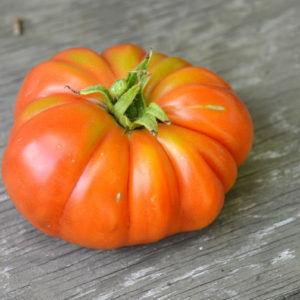 Excellent for fresh eating too – this is an all around great tomato for the garden. While the fruit did display some susceptibility to cracking during very heavy downpours, this was on the whole quite minimal. Indeterminate plant, it kept producing right up until frost, and the green fruit ripened very well off the vine. Potato leaf, approximately 80 days from transplant.